Super! Nous sommes très contents que vous avec bien reçu le produit! Merci d'avoir partagé ces belles photos! 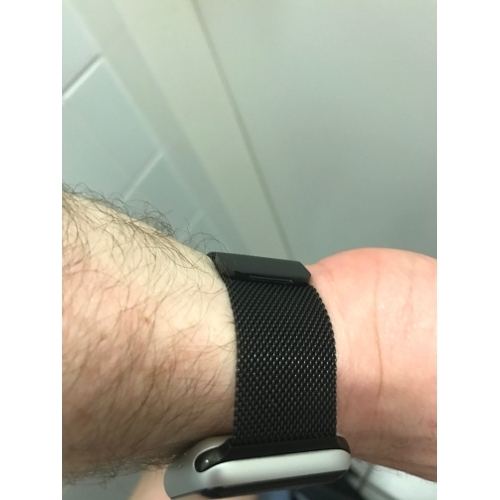 A pulseira tem um ótimo acabamento e não é pesada. Imã super forte - sem risco de abertura acidental. Chegou em 32 dias corridos em SP - Capital - Brasil (ótimo tempo). Super recomendado. 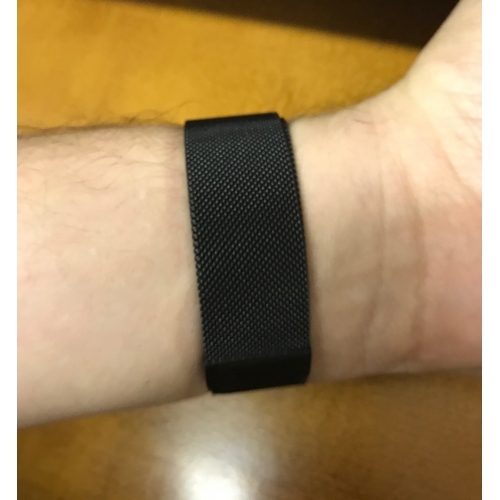 A pulseira tem um ótimo acabamento e não é pesada. Imã super forte - sem risco de abertura acidental. Chegou em 32 dias corridos em SP - Capital - Brasil (ótimo tempo). Super recomendado. O tempo de entrega foi menor do que o esperado. 22 dias uteis. Muito bom. O tempo de entrega foi menor do que o esperado. 22 dias uteis. Muito bom. 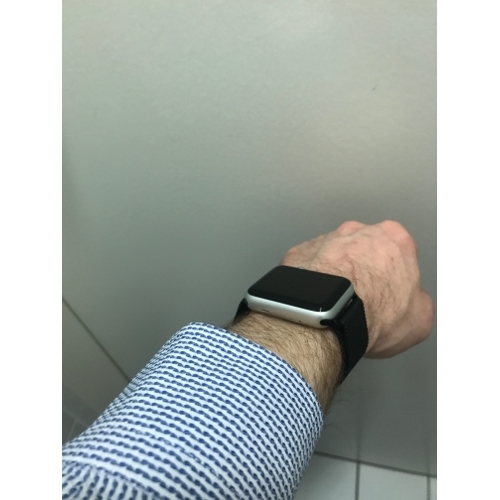 Absolument parfait, rien à signaler niveau qualité bracelet de bonne facture reçus dans les temps. Couleur "Or" Vraiment jolie, qui ne fait pas "plastique", ni trop. Aimant très puissant, attention toutefois pour les tout petit poignets comme moi. 1cm de mOins aurais été idéal, perso je plie laimant sur lui même et Là cest parfait! Bref je recommande. ?? 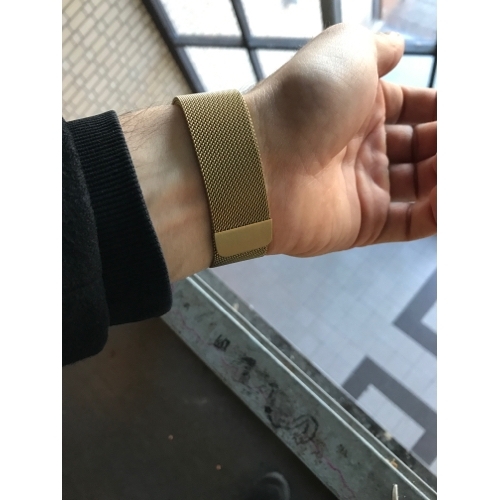 Absolument parfait, rien à signaler niveau qualité bracelet de bonne facture reçus dans les temps. Couleur "Or" Vraiment jolie, qui ne fait pas "plastique", ni trop. Aimant très puissant, attention toutefois pour les tout petit poignets comme moi. 1cm de mOins aurais été idéal, perso je plie laimant sur lui même et Là cest parfait! Bref je recommande. ?? Merci pour votre description précise, nous sommes heureux de vous connaître comme votre nouvelle montre! C'est génial de vous accueillir en tant que client, nous souhaitons vous servir à nouveau dans un proche avenir. Merci pour votre description précise, nous sommes heureux de vous connaître comme votre nouvelle montre! C'est génial de vous accueillir en tant que client, nous souhaitons vous servir à nouveau dans un proche avenir. I am actually quite impressed with this product. 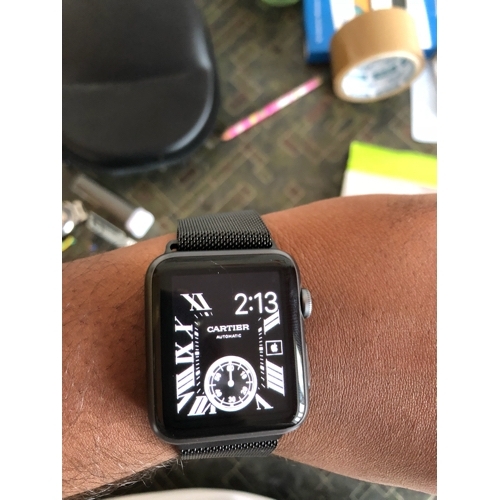 Having never tried on the original designed for the Apple watch, I found this to be a very comfortable option over the sport band. 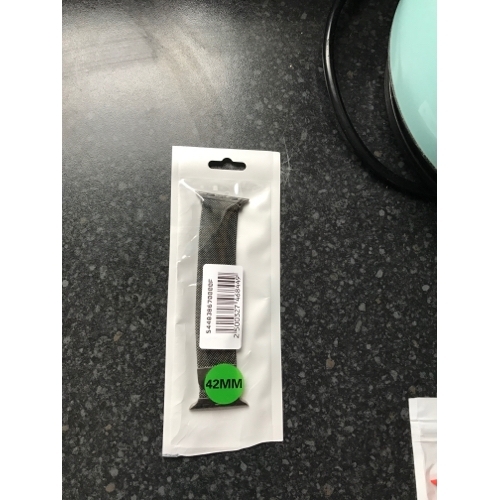 The magnet is very strong and has no issues clasping. I am recommending this product to a friend. I am actually quite impressed with this product. 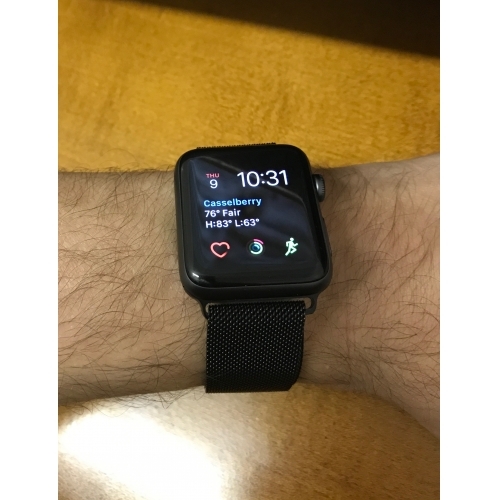 Having never tried on the original designed for the Apple watch, I found this to be a very comfortable option over the sport band. 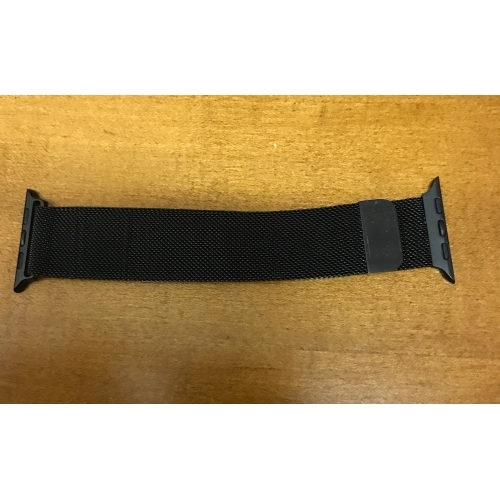 The magnet is very strong and has no issues clasping. I am recommending this product to a friend. 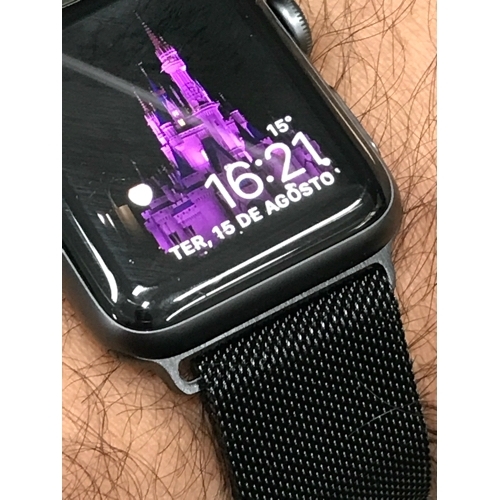 Prima Applewatch Band. Past ook mooi bij aluminium watch. Goede kwaliteit, voelt duurzaam aan. 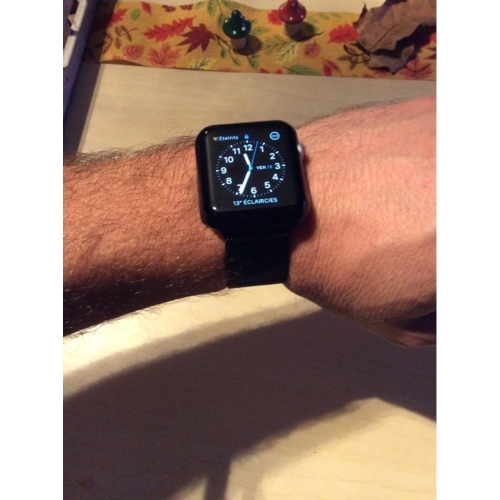 Prima Applewatch Band. Past ook mooi bij aluminium watch. Goede kwaliteit, voelt duurzaam aan. Hoe lang duurde het voor dat je je product binnen had gekregen? Hoe lang duurde het voor dat je je product binnen had gekregen? 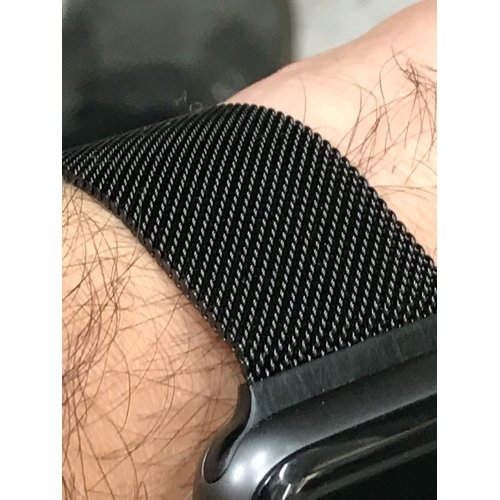 Feels good and it does look good, pretty strong magnetic loop! 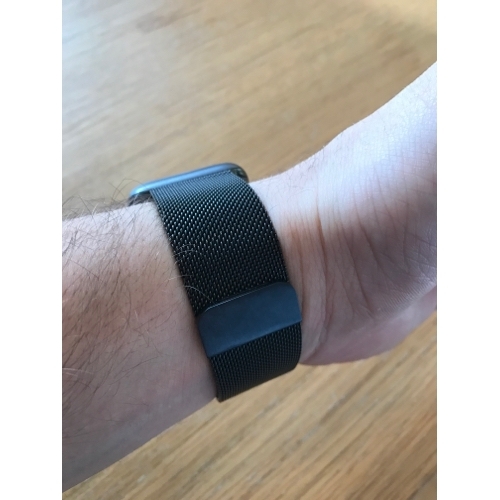 Feels good and it does look good, pretty strong magnetic loop! Perfect. Past goed en sluit heel mooi aan. Voelt ook degelijk aan en magneetsluiting is sterk. 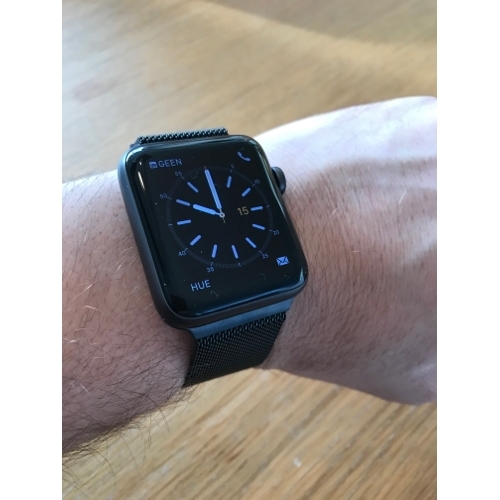 Past goed op mijn Apple watch series 2 42mm	Perfect. Past goed en sluit heel mooi aan. Voelt ook degelijk aan en magneetsluiting is sterk. Hoelang duurde totdat je hem binnen kreeg? Hoelang duurde totdat je hem binnen kreeg? En zit de watch stevig vast? En zit de watch stevig vast? 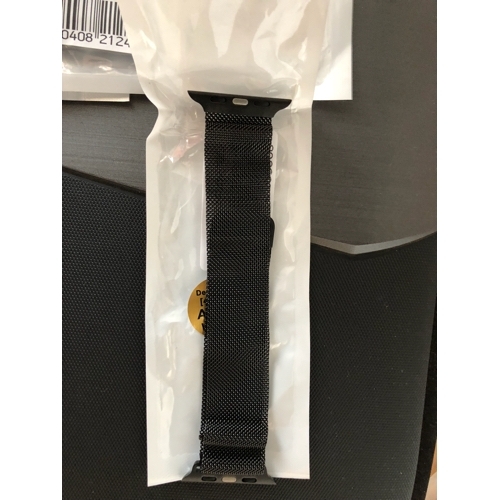 Received my watch straps today. 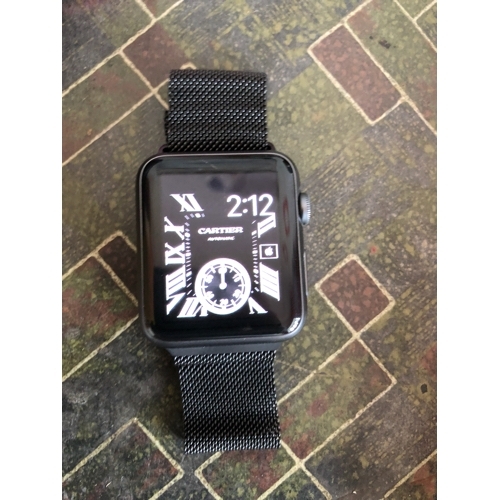 Excellent quality, cant really tell the difference between the official apple straps and these new ones. 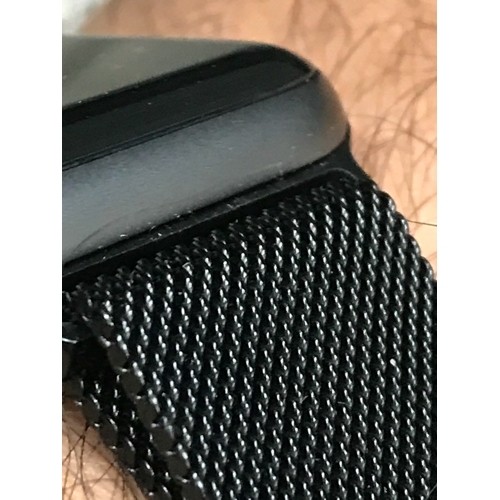 Just a shame I received the wrong colour of strap in my order I ordered two black loops, for one black one grey, otherwise it would be perfect! 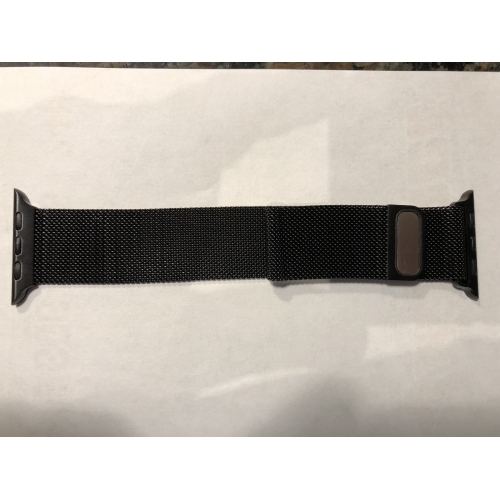 Received my watch straps today. 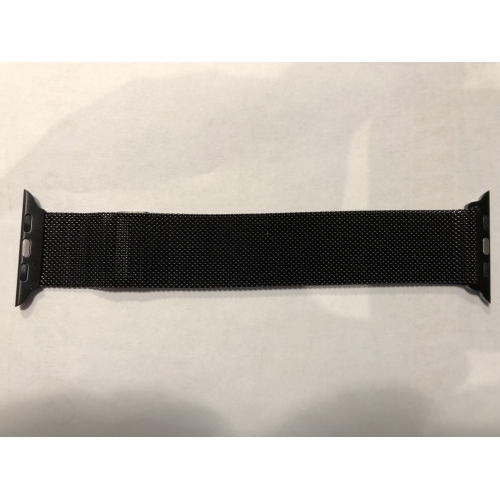 Excellent quality, cant really tell the difference between the official apple straps and these new ones. 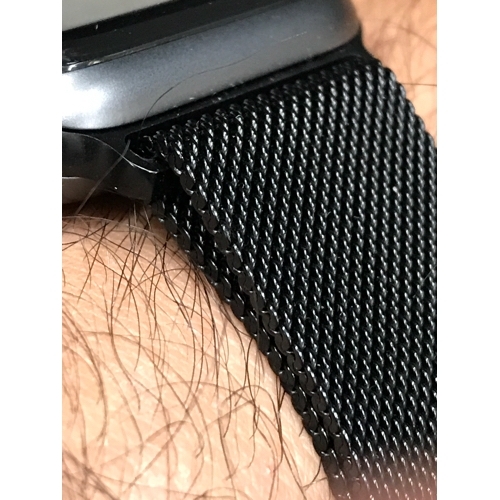 Just a shame I received the wrong colour of strap in my order I ordered two black loops, for one black one grey, otherwise it would be perfect! 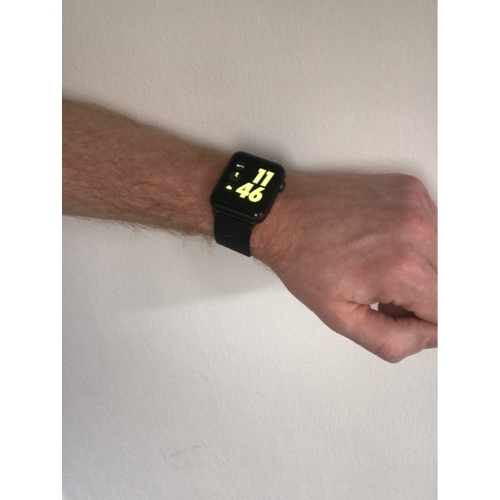 Super qualité, sadapte parfaitement à mon Apple Watch 3. Laimant est fort et semble aussi bon que loriginal. 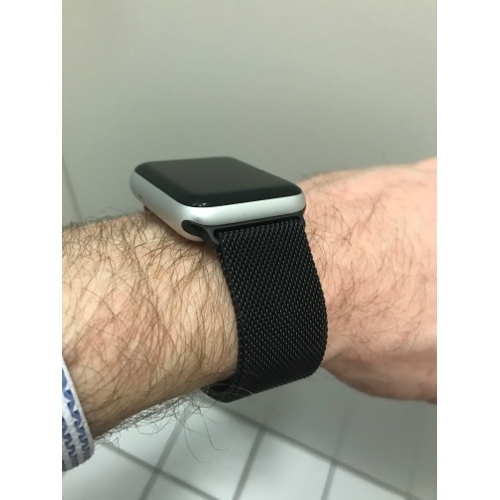 Super qualité, sadapte parfaitement à mon Apple Watch 3. Laimant est fort et semble aussi bon que loriginal. 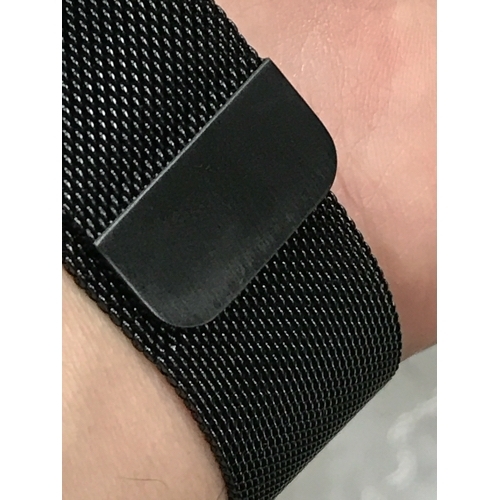 It is a very good Watch band easy to wear and very strong magnet. 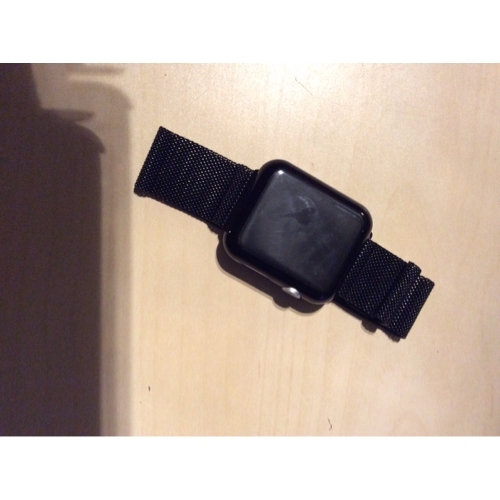 It is not like the cheap ones running over the band it is good in quality for the price tag . 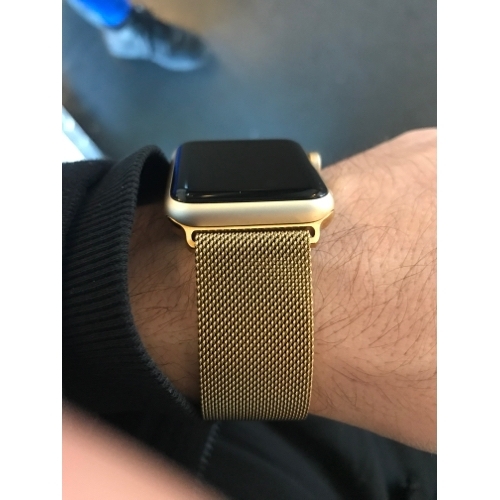 It looks the the official Apple Watch band and comfortable to wear it . 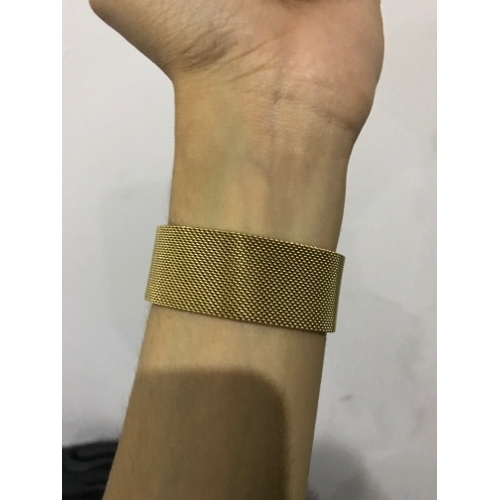 It is a very good Watch band easy to wear and very strong magnet. It is not like the cheap ones running over the band it is good in quality for the price tag . 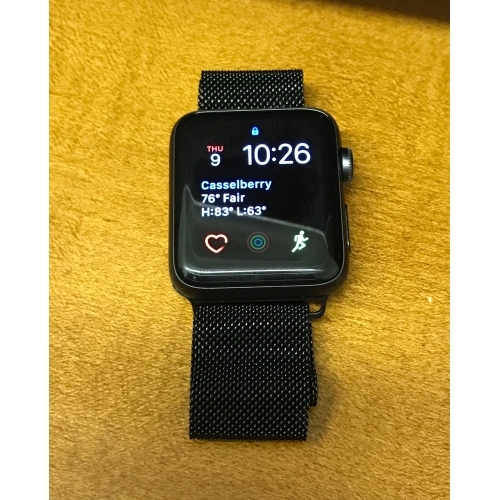 It looks the the official Apple Watch band and comfortable to wear it . Dear ralbrin, thank you for shopping here and sharing the photo with us! 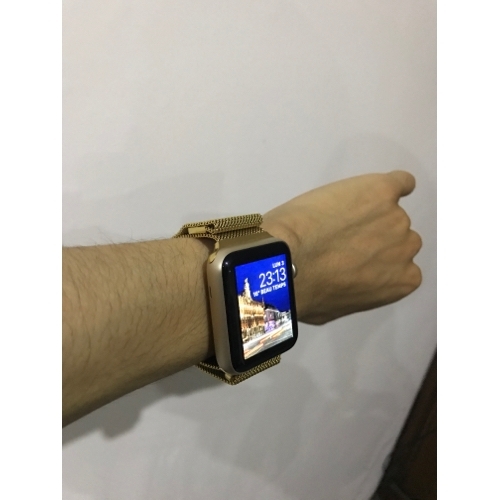 The watch band is awesome, the color is classy, it really suitable for your watch! Nice choice! welcome to shop with us again, have a nice day! Dear ralbrin, thank you for shopping here and sharing the photo with us! 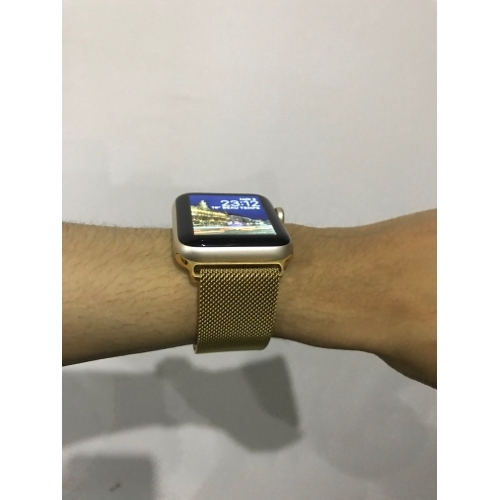 The watch band is awesome, the color is classy, it really suitable for your watch! Nice choice! welcome to shop with us again, have a nice day!